Blue Solutions Banking on the Go is the new mobile app developed for the members of Blue Cross Blue Shield of RI with a Health Savings Account (HSA) and other tax favored benefit accounts. Enjoy a convenient way to manage your heath savings account and other tax favored benefit accounts, securely and on your time. 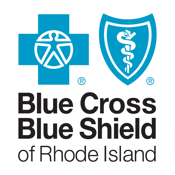 Blue Solutions Banking on the Go is available to all Blue Cross Blue Shield of RI customers that are registered for BCBSRI online services and have an HSA or other tax favored benefit account. The privacy and security of your information is our top priority. Rest assured we utilize state of the art encryption technology to protect your information from unauthorized users. Visit us at bcbsri.com to register for online services or contact us at 1-800-639-2227 or more information.